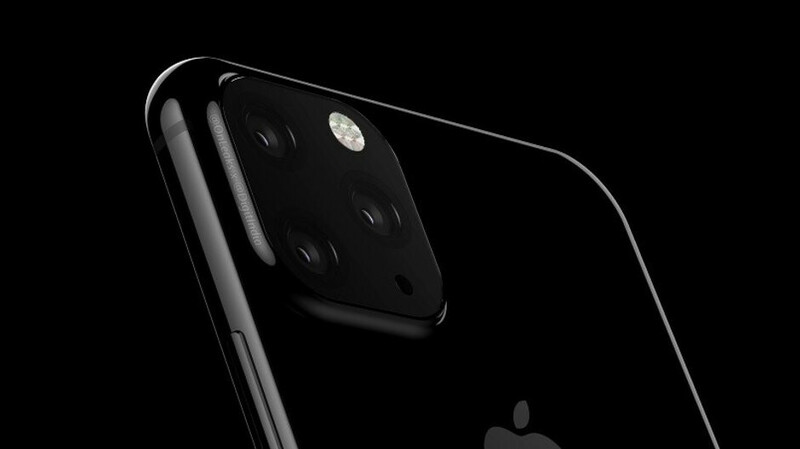 Aside from a potentially smaller notch and a redesigned camera module on the larger device, Apple’s 2019 iPhones are expected to bring no major design changes. Nevertheless, some big internal upgrades are to be expected. And according to Barclays (via 9To5Mac), one of these could be improved Wi-Fi speeds. Revealed in their latest report, the 2019 iPhone series will bring support for the latest Wi-Fi 6 standard, which is based on the IEEE 802.11ax technology. This will allow for connection speeds that are up to 40% faster than currently possible with the Wi-Fi 5 standard (802.11ac) which was released back in 2014. These performance increases are extended to situations in which multiple people are using the same connection, as is often the case with public Wi-Fi hotspots or even at home. Wi-Fi 6 networks should also be more reliable when multiple users are connected simultaneously. Lastly, Wi-Fi 6 should bring improvements to battery life, something many iPhone users will be pleased to hear. The new standard implements a new “target wake time” feature that essentially tells devices ahead of time when a Wi-Fi signal will next be required. This means that in between transmissions Wi-Fi can be put to sleep, thus saving battery. If history is anything to go by, the 2019 iPhone series will probably make its debut in early September. Details are still vague, but it seems as though three models are once again under development as direct successors to the iPhone XR, iPhone XS, and iPhone XS Max. Yawnnn, more dramatic innovation please not speed pump and just camera improvement. Comon’ Apple, Can you COOK some to wow us like iphone 2007. We need more Apple. This iz not impressive at all. The expertz will let you know just what apple will have new soon. Sorry but fruit phones do not count anymore! They have lost a ton of steam. People have gotten fed up with the mediocre software, and iPhone rehashes. Funny how the notch is no longer considered premium by android companies... I'm waiting to see how apple runs away from it. I think the best innovation for apple would be a revamped iOS, for example add an app drawer and the ability to change icons and maybe you will win some android fans. As long term android user I never missed app drawer, I like more desktop approach like folders and icons. But mostly I use search way faster even than app drawer. I hate Apple's approach because of my years using a desktop OS. I never liked having a bunch of clutter on my desktop and often have nothing there but the recycling bin. Opening a start menu to access my programs and opening an app drawer just feels normal to me. They certainly need a wifi boost after a major downgrade with latest generation. WiFi isn’t a problem, biggest problems are LTE connection reliability. If you check wifi speeds of Xs, Xs Max and XR you might change your opinion to "they need to fix wifi and LTE". Not a selling feature for this phone or any phone for that matter. Does that mean they'll be as fast as Android phones now?